A participant explains the asset and opportunities map during the enterprise development session. 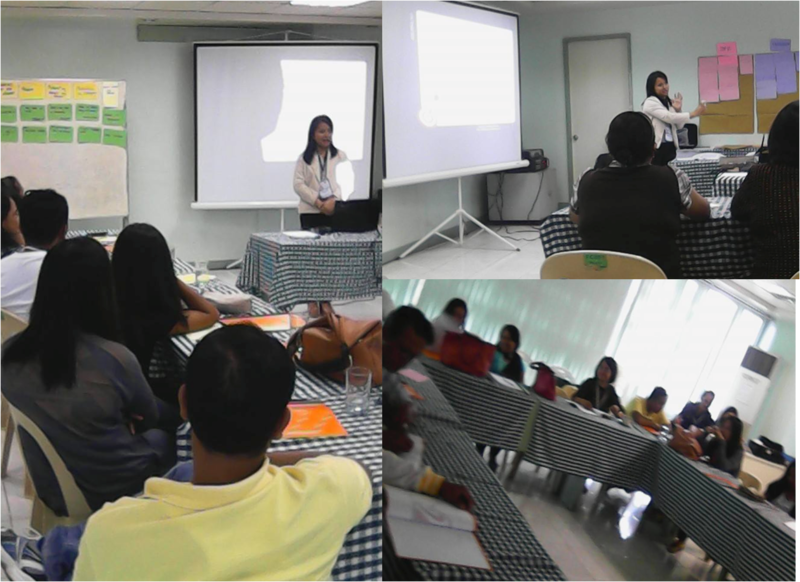 PROCESS Bohol, Inc., commissioned Step Up Consulting to train its community leaders in Ubay, Bohol the basics of financial management. The training, attended by more than 30 community leaders, was intended to assist the organizations manage their enterprises better and prepare them for eventual phase-out of PROCESS support. Step Up has more than 10 years of conducting community-based trainings with different audiences – farmers, women micro-entrepreneurs, non-profit leaders, and local government leaders. It uses participatory approaches in conducting its capacity building programs and makes use of “games” in order to “teach concepts”. As one of the women leaders in this training remarked – “It is the first time that I understood complex financial management concepts in an easy, phased way”. In the training, Step Up taught the community leaders the basics of enterprise management, how credit management is critical to business operations, and the different steps in ensuring that business decisions can be made based on available financial data. 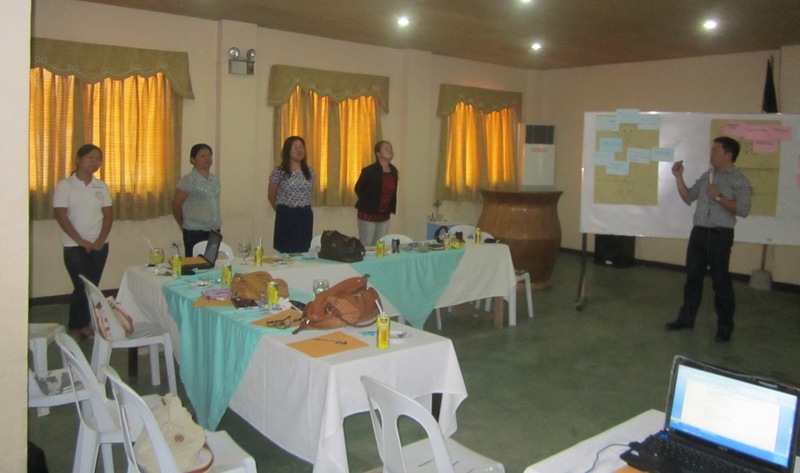 Step Up Consulting was contracted by the Bohol United Sectors Working for the Advancement of Community Concerns (BUSWACC) to conduct a risk management training for its assisted entrepreneurs and entrepreneur groups last 28-29 November 2014. The training was conducted at the FCB Foundation Training in Tagbilaran City and was attended by more than 20 participants coming from different organizations and from different parts of Bohol. Risk management is one of the key expertise of Step Up’s financial management division. As a process to ensure achievement of company objectives, risk management is about the identification and evaluation of company risks with the intention of avoiding these risks or managing them to minimize impact. In recent years, risk management is at the core of management function and has been used also in ensuring better internal audit and internal control. The training was conducted by Arlen Salgados-Canares, Step Up’s lead consultant for financial services. Step Up Consulting assists its long-time client Ilog Kinderhome Foundation, Inc. (IKFI) in two engagements – in training its project staff in the use and conduct of Most Significant Change (MSC) as a monitoring and evaluation tool, and in facilitating the conduct of its Annual Evaluation and Planning Workshop. The training on MSC was attended by project staff of the Empowering Indigenous Communities for Inclusive Development Project (EIPID). 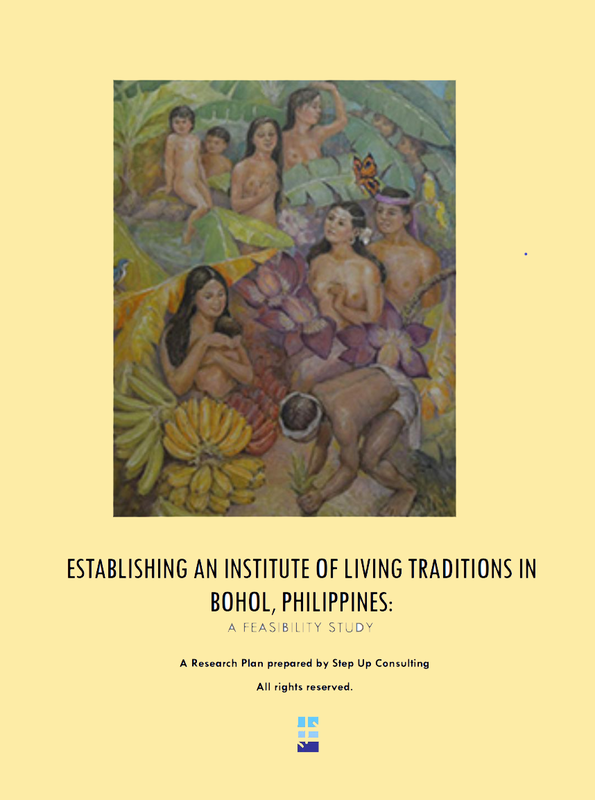 EIPID, funded by the European Union through Kindernothilfe, is implemented in the province of Antique in order to empower indigenous communities socially, economically, and politically. The workshop was held at the CICM Retreat House in Talisay, Negros Occidental in October 28-30, 2013. It can be recalled that Step Up Consulting assisted KNH in the writing of the EIPID concept note and full proposal some five years ago and was also the evaluation and planning consultant in the early part of the project. 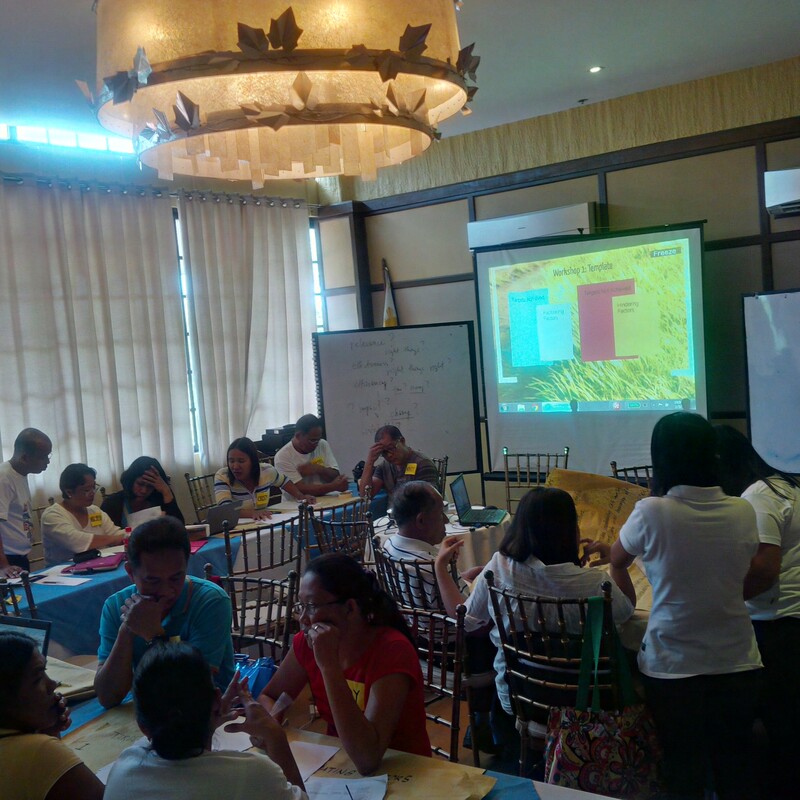 The Annual Planning and Evaluation Workshop, on the other hand, was held at Natures Village Resort Hotel in Talisay, Negros Occidental last 2-5 January 2014. The workshop covered the planning and evaluation of three projects of IKFI – EIPID, Child-Focused Community Development implemented in Kabankalan, and WIP Project implemented in Ilog, both in Negros Occidental. Step Up Consulting Services trained 14 representatives of LGU Buenavista on how to conduct gender-sensitivity trainings as part of the assistance of the GREAT Women Project to the municipality. 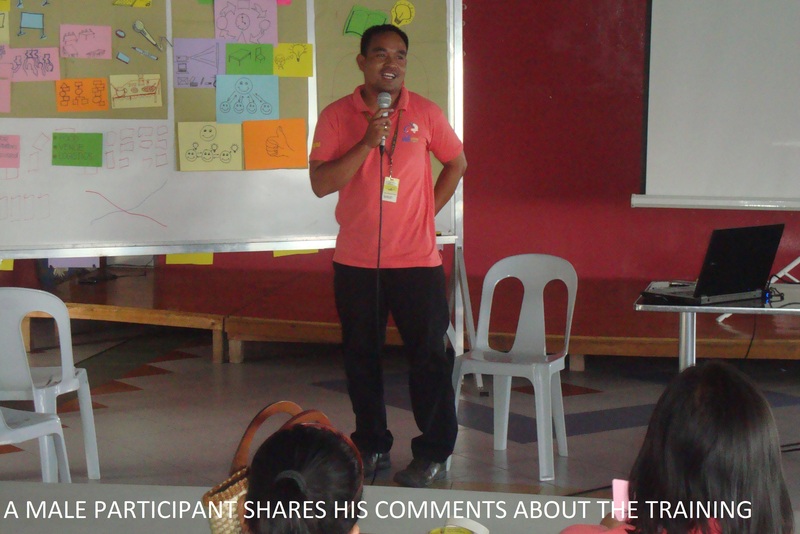 The training was conducted in 20-23 March 2013 at Galilea Center for Education and Development and was attended by representatives from the local government unit of Buenavista, the Department of Education, and the local community college. The GREAT Women project aimed to enhance the enabling environment for women’s economic empowerment (WEE)resulting in sustainable livelihoods for women. It sought to contribute to a gender-responsive environment for the economic empowerment of women, particularly women in microenterprises. 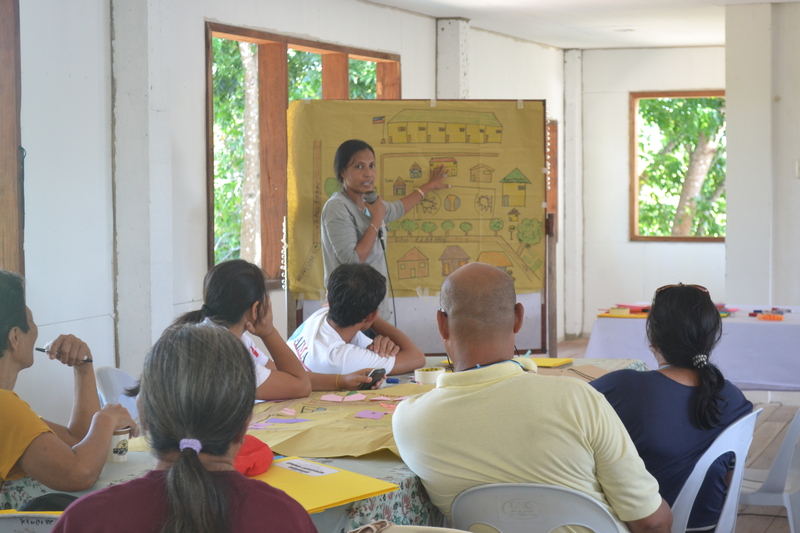 In Bohol, the GREAT Women project is implemented in the municipalities of Buenavista, Balilihan, and Jagna. Step Up managing consultant, Michael Canares, has been assisting the GREAT Women Project (GWP) not only in Bohol, but also nationally. In 2010, Mr. Canares facilitated the re-scoping workshop of GWP after its midterm evaluation. Besides Bohol, Mr. Canares also assisted the Metro Naga and Iloilo. The participants of the training were very thankful to GWP and to the facilitator because they learned significantly from the sessions. They did not only learn how to facilitate GST sessions, but also how to design participatory events on GST. Step Up Consulting Services assisted the Philippine Commission on Women in refining the results chain of one of the components of a project it implements with the support of AECID. This activity was done in a training workshop held in Manila last 19-21 November. The training workshop was attended by representatives from 6 provinces, namely, Aklan, Albay, Iloilo, Mindoro, Saranggani, and Surigo del Norte as well as by representatives from the Project Management Office and the Philippine Commission on Women. The objectives of the training-workshop were to make participants understand the basic concepts and principles of RBM as a tool in project development and management; practice the use of the RBM tools using the three-year project target for LGUs; arrive at clear indicators for the 3 year-targets and provide an overview of project development and management including its planning methodologies and tools. The participatory, inter-active, and activity-based learning sessions proved productive with the adult learners. 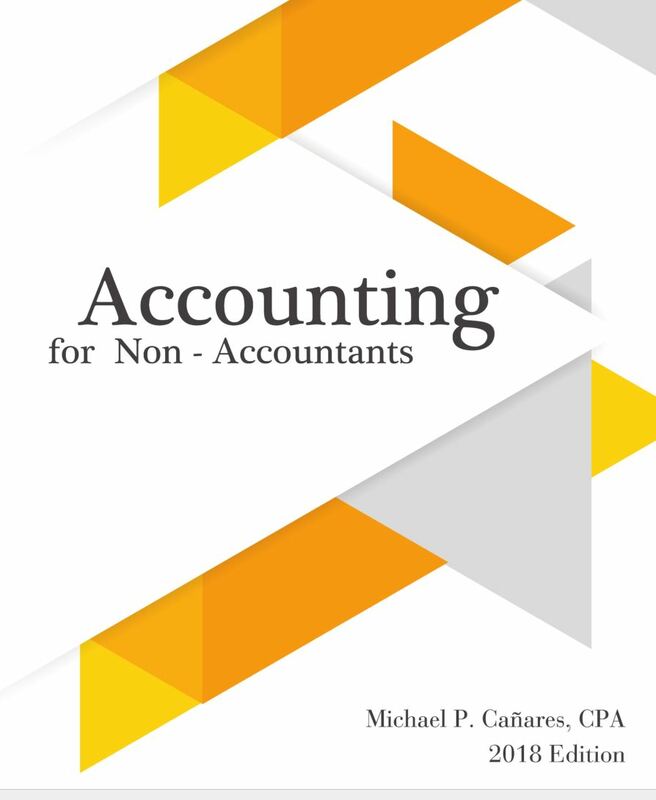 The participants were able to efficiently assimilate new concepts better because of this approach. Likewise, the RBM workshops helped crystalize ideas of participants and made more explicit their theories of change in so far as the project is concerned. The diversity of outputs is impressive in terms of sectors and themes. Saranggani concentrated on indigenous communities and indigenous women, Aklan on VAW victims, Albay on disaster-prone communities. Surigao del Norte and Mindoro focused on women entrepreneurs while Iloilo tried to cover several marginalized women groups. Step Up will continue to assist PCW in this project. Step Up Consulting Services assisted the Municipality of Jagna by training 20 municipal government employees as facilitators. The training, entitled Facilitating for Development, intends to equip facilitators with the necessary skills in facilitating participatory community development sessions. Facilitating development in communities is a crucial process that entails maximum preparation on the part of facilitators. As distinguished from training, facilitation involves not an instructive approach in bringing about learning from individuals but a bottoms-up approach in drawing conclusions based on participant’s knowledge, feelings and experiences. Facilitation, as a process entails a lot of listening, not only to verbal but also the non-verbal cues happening at group processes and requires appreciation and not judgment of participant’s responses. The training covered these theoretical grounding. Participants expressed appreciation to Step Up Consulting Services team for the efforts in making the training enjoyable, productive, and enriching. The firm handled content as well as administrative arrangements for the total three-day training.